When my cousin posted a photo of her youngest sleeping, I was smitten. What a delicate lovely face! 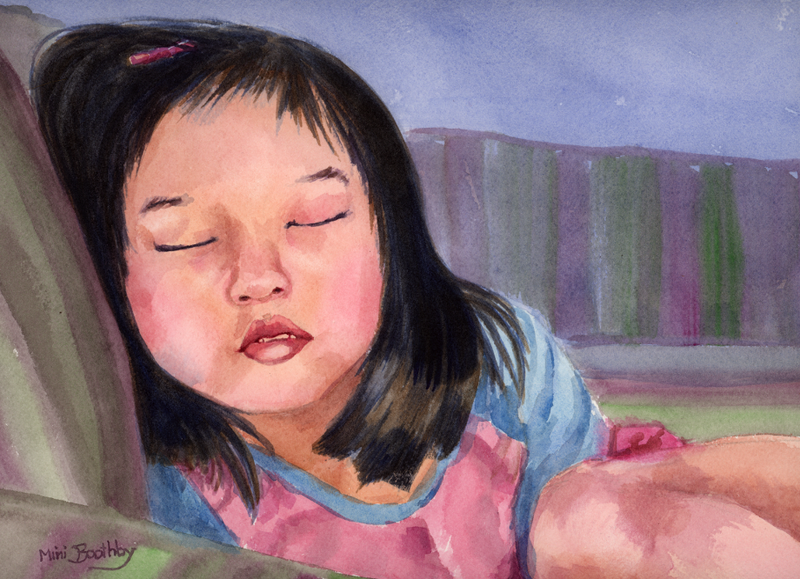 I left it alone for a couple days, because I find painting children to be the most daunting. But, oh, what a fetching scene. So I tried it. I actually painted her four times before I was happy with the results. And here she is, enjoy.